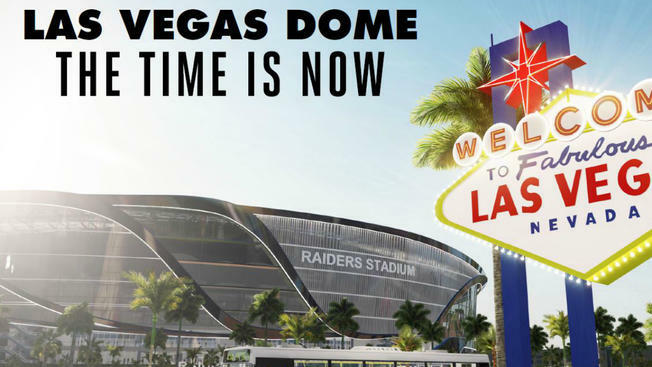 Raiders executives gave the Las Vegas Stadium Authority a proposed lease agreement Thursday and also told board members they are preparing for the upcoming NFL owners meetings in March in their latest pivot toward southern Nevada, Elliott Almond of Bayareanewsgroup reports. President Marc Badain and general counsel Dan Ventrelle highlighted the board’s first meeting since the Raiders filed for relocation to Vegas last week. The team’s administrators didn’t offer any more details about how a proposed $1.9 billion domed stadium would be funded, said Jeremy Aguero, whose economic, fiscal and policy research firm is helping guide the stadium authority. 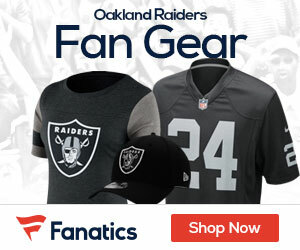 Aguero said Badain told the board the Raiders prefer a 62-acre property west of Interstate 15 and the Mandalay Bay resort known as the Russell site. Finding a suitable site to build a 65,000-seat stadium for the Raiders and UNLV’s football team has been 0ne of the major questions about the relocation. The Raiders could ask for a relocation vote at the owners meetings March 26-29 in Phoenix. They need 24 of the 32 owners to approve the move. Aguero said the Raiders must submit details to the stadium authority about how they would fund the project once they get NFL approval. The current deal includes $750 million from a hotel tax approved by lawmakers and signed by Gov. Brian Sandoval and a $500 million contribution from the Raiders and NFL. But the sticking point has been a $650-million investment from the Adelson family, which owns the Las Vegas Sands Corporation. The relationship with billionaire Sheldon Adelson remains a hurdle because NFL rules prohibit casino owners from having an ownership stake in a team. The Adelson family wants a percentage of the Raiders as part of the stadium deal.